Manassas, VA– Dr. R. Albert Mohler, Jr., President of The Southern Baptist Theological Seminary, will speak during the installation of NRB President & CEO Dr. Jerry A. Johnson on Saturday, February 22, at the NRB 2014 International Christian Media Convention in Nashville, TN. Regarding Dr. Johnson's selection, Dr. Mohler said it "makes a powerful statement about the future of the National Religious Broadcasters." “Jerry Johnson is a leader of rare ability and I am absolutely confident that he will provide superb leadership for the National Religious Broadcasters," he stated shortly after Dr. Johnson's election. "He represents a coming generation of leaders among American evangelicals." In addition to his presidential duties, Dr. Mohler hosts two programs: The Briefing, a daily analysis of news and events from a Christian worldview; and Thinking in Public, a series of conversations with the day’s leading thinkers. He also writes a popular blog and a regular commentary on moral, cultural, and theological issues. 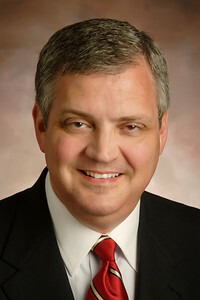 Called “an articulate voice for conservative Christianity at large” by The Chicago Tribune, Dr. Mohler’s mission is to address contemporary issues from a consistent and explicit Christian worldview.